2012 EU reissue on 180g vinyl -The Nightfly is the critically acclaimed debut solo album from Steely Dan cofounder Donald Fagen and incidentally one of the very first fully digital recorded pop albums - Produced by Gary Katz and engineered by Roger Nichols both of which had worked on every Steely Dan record up to this point the lush and romanticized 8song set remains in the signature smooth popjazz vein of his famous band and features blatantly autobiographical themes, concerning Fagens suburban adolescence growing up in the late 50s/early 60s. Nominated for several Grammy Awards, including Album Of The Year. 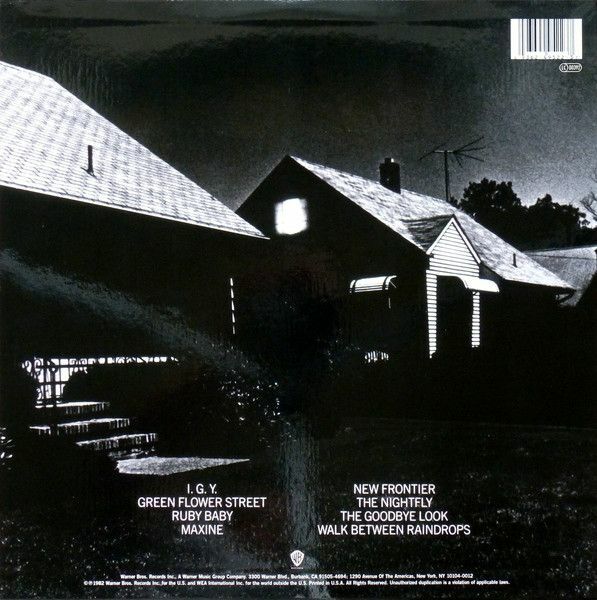 The Nightfly was certified Platinum in both the US and the UK thanks to the albums duo of hits in IGY and New Frontier.